There's something kind of awe-inspiring about standing in a huge cave, and seeing the vaulted ceilings rise up over you. 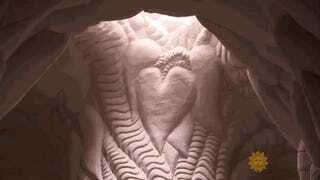 Caves are amazing miracles of nature — but sometimes, the best caves are actually carved by people. Here are astonishing videos of some of the world's greatest human-built caves.